Yippeee!!! We made 15 comments, even if one was mine, and one was a misspell from the same person. I'll take it. But, now I have to go to bed, so I will check first thing in the morning to see if we are ready to post again!! As you can imagine, we have LOTS of baby dolls in this household! But ONLY ONE will do for this little miss! And the doll she chooses, she calls her "Big baby". And with good reason. Aside from the fact that this baby is about 2 1/2 foot tall, it is also kinda more like a teenager than an actual baby-baby! This was dancing day, and Ellie was putting her in a leotard above, and then had me fix her a "messy bun" below! That's pretty funny! You gotta admit! This is also the "baby" that Ellie told, "You are gonna have to start walking because you are getting heavy and are hurting my hip." Tonight, we had to take her with us to get pizza. ANd I had to braid her two pigtails. Ellie then matched her outfit to a bow for her hair. At least she likes ONE doll! Can you help me with a name for this baby? I suggested "Susanne" to Ellie as this is mine and her middle name. She didn't like it. Any other ideas? Thanks for all the commenting, peeps ! Keep it up. Remember I will keep posting a new blog all day long as long as I get 15 comments! If you are confused on this, check out the previous blog, Spring has Sprung for details. Check the older blog posts if you're just now checking in! I hope to have a whole bunch posted all through the day tomorrow. For now. Nighty night! forgot that i forgot to post on this post! how is that for 4:30am sillyness? lol i am thinking ellie will want to name that baby something older and more mature. i suggest aubree or harper. Hey Mo - I've been down & out - missing me some Mo' Joy. Now I'm getting all caught up. The little girl in our home has a favorite name of Maisie (pronounced Macy). I love any post about a "baby" doll. They were my favorite toy as a child and my favorite thing to buy for my girls when they were little. I spent many hours picking out just the right one. My oldest daughter looked at them for maybe five minutes and tossed them to the side. My youngest loved them and cared for them like they were real. Her favorites were "teen" babies I found online called Magic Attic dolls. Each was a character in a book series. They came with a book and were attired in a costume that went along with that particular book. I loved them because they encouraged reading and imaginitive play. I think Ellie should name her baby Callie. Looks like Ellie is in need of American Girl or My Generation from Target. They even have ballet outfits. Come to Atlanta and I'll go with you. Fun little redtaurant also! My daughter named her twinn dolls Betty Lou and Poopsie. Luckily, she outgrew those names before the kittens came along. 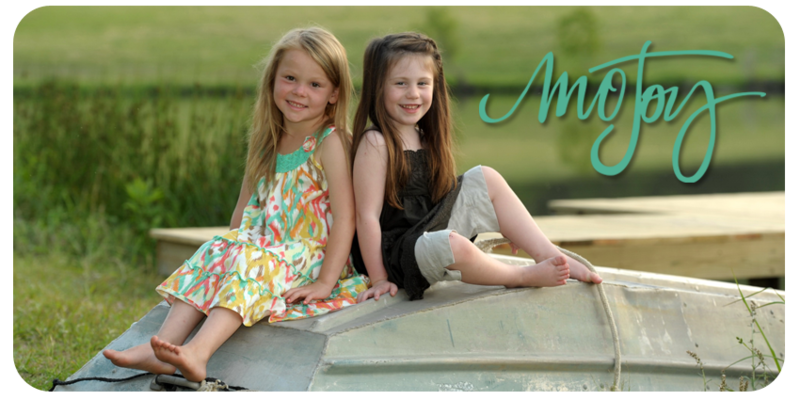 I read Mo'Joy EVERYDAY - and have loved watching those sweet girls grow up. Our community lost an 11 year old boy named Jacob to a tragic accident. He was in a burn center for 7 weeks - but I have clung to so many of the messages your family had regarding your Jake. The night that Jacob J passed away was one of the most spectacular sunsets I have ever seen. I can't wait to share with his family what you said in this post about those skies! I know what Jacob saw that night was so much better than the sunset we saw. My email and name have changed but I have been following caringbridge/Mo'Joy for a very long time - thanks for the encouragement!! Ok... .I'm one of those lurkers who have read your blog from the beginning. I'd love to see multiple blogs from you today, so it's time for me to become a commmentor! I was one of those kids who named Everything! But, I wouldn't let anyone help me pick out the names. Sometimes it took me a while, but I always came up with a name. Of course, the time I named my stuffed squirrell Harry Peter and was proud to take him out in public and show him off didn't really make my mom too proud! But it makes for a good story now. Mo, your girlies are too cute...that Ellie is amazing...I hope you are still posting this blog when she is INDEED a teenager....so funny. P.S. Imma lovin' my Talisman!!! I've been a silent follower for years and am in awe of how much you pack in to your day. Love living vicariously through you folks, you sure know how to party! As for the doll, I'm thinking she needs a versatile name ... how about "Veronica" (I know - very old world). She could be Veronica for her dancing (famous Canadian dancer, youngest ever to enter the National Ballet), then she could be just 'Roni' for hanging out going for pizza, dress up parties, dance parties. The trees look wonderful, very envious as we are still snow covered in Canada. My girls (20 & 18) also had baby dolls that they carried everywhere. So sweet to see nurturing little mommas from a young age! Their names were simple "Baby" and "Honey". My suggestion for Ellie's is "Sassy" cause it sounds like that's both her attitude and style! Enjoy spring. Looks like it's still a ways away here. Snow storm through the night and 4-8 more inches expected through the day. I don't think it is possible for those girls of yours to get any more (or is it anymore) adorable. They are a 20 out of 10 on the cuteness scale FOR SURE. Where can I get a pair of silver ballet flats! I must have them. When my daughter was little, she had a tall baby like Ellie. She named it Blue Hair Baby, since the doll had blue hair. She really loved Blue Hair Baby and still has her to this day. I can honestly say that was the ugliest doll she had, but loved it dearly. You could call her doll Shannon or Gambina these were the name of my to favorite dolls. Thanks for posting the pics of spring...Since we have relocated in NW Arkansas, I am patiently waiting for spring....Kimie told me how much from sweet lil Gabbi had at her house. I read your blog everyday.....Don't even think about quit blogging! I have no idea about baby doll names. Thirty something years ago, our DD1 named the doll she bought with her third-birthday money in honor of the store where she found it. Yep. Wal-Mart. I am a faithful reader but don't often comment. Love keeping up with your girls. I always have bits of information to pass along to Brandon and Amber when I visit with them. Okay, now I'm depressed - the doll's hair looks better than mine! How about Willow cause she can "whip her hair". Love that video. Its not surprising that Ellie likes a 'teenage' baby doll. She got the picture real fast that babies can become heavy to carry around! Since she idolizes Emma Lou...why not suggest that name for the teenage baby doll? ummm, annabelle? rayanna? anna claire? laken? betty lou? jenny ann? lily? those would be our picks for baby dolls :) good luck on naming her. bella still calls one of hers "big baby" since she's seen toy story 3, lol! Oh I love your posts too and can't wait to see more. Your babies are growing up so much every day and what a beautiful way to watch them grow. And I've never seen a real bayou either so those pics were fun. Keep it up! Ellie needs a "teenage" name for her baby doll.....I agree with one of the other posters--maybe one of the "big girls" that she idolizes? ?